Place eggroll wraps on a workable surface. Place one whole green chile diagonally on the wrap (see illustrations above). Add about 2 tablespoons grated pepper jack cheese, or enough to cover chile. 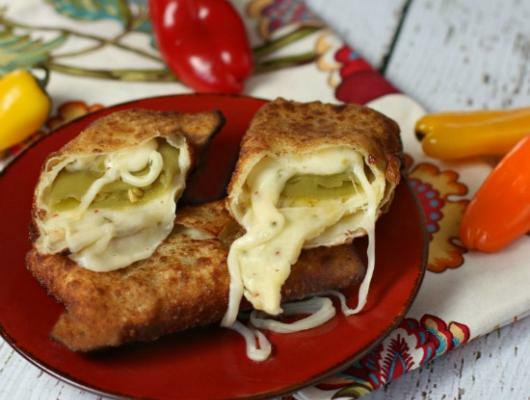 Cheesy Chile Eggrolls are just 3 simple ingredients! 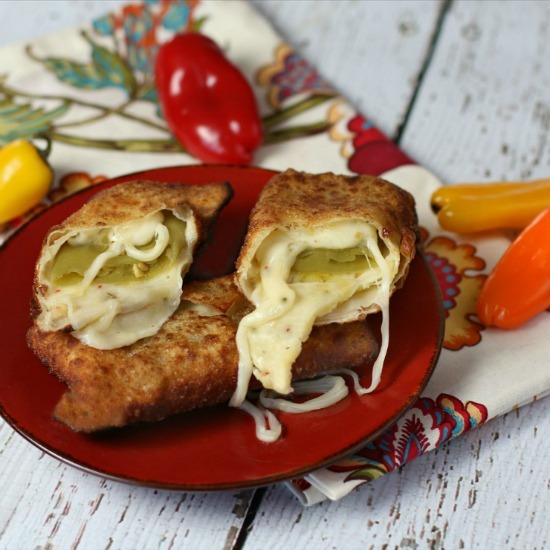 Crispy, hot, cheesy, slightly spicy appetizer that everyone will LOVE!